Carole: Me and Bruce, we're not that different. We know what we want. We know how to get it. Like this promotion he's going for. We both know he'll win. And when he does, the Robertson household is gonna be one big, happy family again. I kid you not. Q: Is the film based on a book? 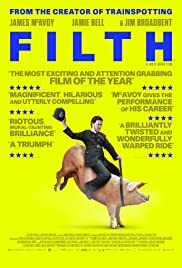 Q: Why the title 'Filth'? Remember when Ewan McGregor played in a little movie called Trainspotting? 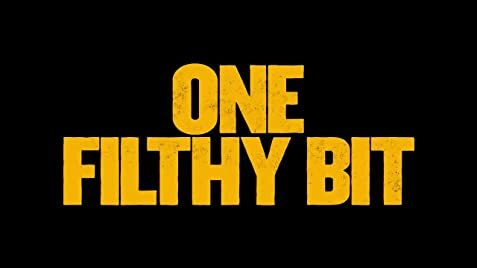 The film was made after a book by Scottish writer Irvine Welsh and it was an intense and often funny window into the complete wasting of human life due to heroin. It made McGregor famous. Now, James McAvoy has no need to be made famous, he already is, and he showed he is a great actor in several movies; he is on a roll. But in this film, also made from an Irvine Welsh book, he really outdid himself, playing a deranged police inspector torn apart by addiction, grief and madness. The film itself is difficult to explain and, perhaps, it would be more clear to me if I would have read the book first. Some of the characters I have no idea who they were and why he was interacting with them in the first place. Also the ending is pretty much the antithesis of the one in Trainspotting. Here, there is no hope. The direction was good, I guess, as well as the general production values. A bunch of known, but usually secondary actors fill the cast, with often interesting results, but let's face it, the film is mostly a one man show and McAvoy was up for the job. I just wish the story would have been less confusing. Conclusion: it would be a shame not to watch this film, even if you end up not liking it for some reason. You need to be familiar with Scottish accents or use a subtitle to get what people are saying. Other than that, great work, James!